Many of us have always been interested in flying since we were children. 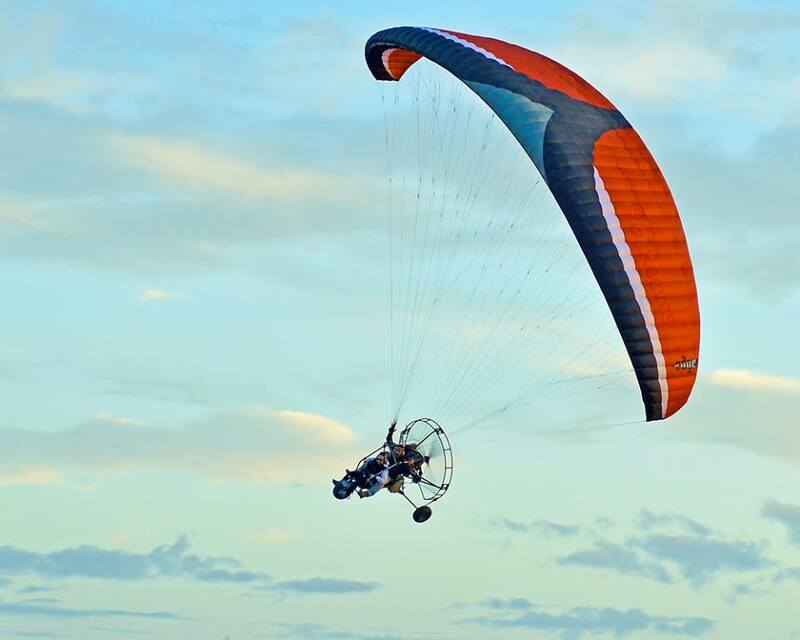 A tandem flight will help you decide if powered paragliding is for you! Your tandem flight will be approximately 20 minutes and during your flight you will have control of the glider and be able to see scenery that usually is reserved for seasoned low-level pilots. Though we can fly up to 6,000 feet easily, the scenery is best at ground level below 500 feet. Scared of heights? Not to worry, this form of flight is very different than any other and you have more control and will be able to relax while you are flying. We fly at 30 mph and can fly as slow as 5mph wind conditions permitting. Sit back, relax, bring a camera and take pictures! Yes children are welcome also! This is Dave in Mexico a year or two ago, how cool is this!